During this time of year, it is all too easy to rush past the giving of thanks and run straight into the holly-dazed hysterics that some would like to call Christmas. Don't tune out yet, I'm not going on one of my rants . . . well, not today, at least. What I would love to share with my friends is an opportunity to pause and truly give thanks to God for our heritage. There is no better way to begin, than by giving consideration and reverence to the plight of the people we know as, the Pilgrims. *Editor's note: I found this "True Heroes" post especially challenging, considering all of the "anti-Puritan" views that pollute the main stream media culture. I want to reassure my readers that I scoured and searched to eliminate any historical malpractice that I could detect in the resources that I researched, in order to bring you historical sound history, with a biblical worldview, personal opinions omitted. I happen to believe that you, and your children, are intelligent enough to form your own opinion. ---> The Pilgrim Story - I enjoyed reading the history myself from this classic work. It is an excellent resource and helps build a better understanding of the outstanding trials and circumstances that God brought the Pilgrims through. --->Stories of the Pilgrims by: Margaret B. Pumphrey, is an excellent read-a-loud for the entire family. The image below will take you to an online reader at Heritage History. STUDY THE PILGRIM LEADERS ---> William Bradford: The best resource for learning about the Pilgrims comes directly from the hand of William Bradford, long-standing leader and governor of Plymouth. 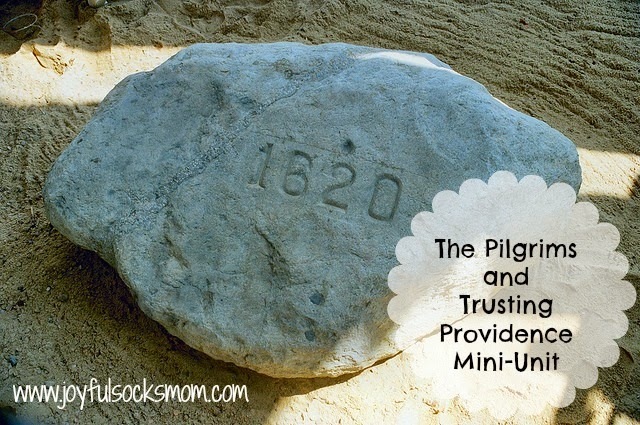 His work Of Plymouth Plantation is detailed, accurate and clearly gives way for other generations to observe and rejoice in the Providence of God over our lives. Of Plymouth Plantation: Public Domain Copy, or Buy it Here. ---> John Robinson: Bradford described Robinson as one of those "godly and zealous preachers" in his writings. Robinson did not make the journey with the Pilgrims to the New World, but was a great leader of the Pilgrims and deserves a pause to look at. ---> William Brewster: Brewster was an early member of what became the Pilgrim church in Scrooby, England. The church originally met in the home he was renting from a high-ranking official in King James' court. He had much to risk and much to loose, as one of the more wealthy members of the church. 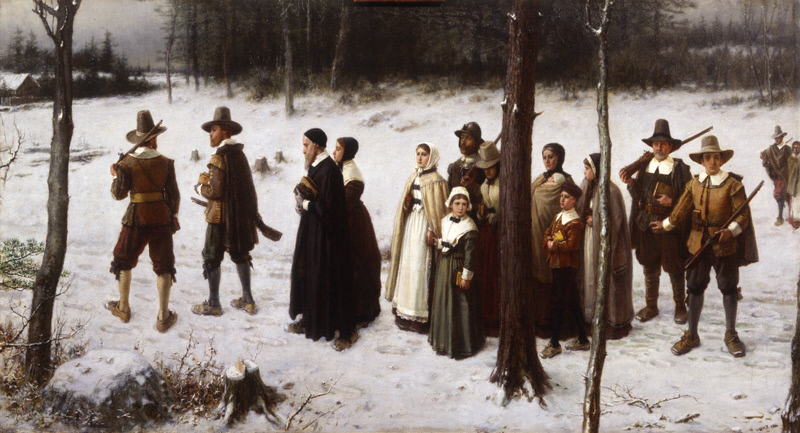 Brewster was the elder that traveled to Plymouth with the Pilgrims. Begin reading At Scrooby Inn from Stories of the Pilgrims to learn more about these Pilgrim leaders. ---> Miles Standish: Miles Standish was not a Pilgrim, but the captain of the small band of soldiers that traveled to the New World with the Pilgrims. Here is an excellent resource The Adventures of Miles Standish from America First by: Lawton B. Evans, here is a chapter called The Story of the Pilgrim Fathers, from This Country of Ours by: H.E. Marshall that mentions Standish. You may also enjoy studying this classic from Longfellow, The Courtship of Miles Standish, and here is the LibriVox FREE Audio. Thanksgiving FREE Pages from Cynce's Place LOVE! THE PATH OF PRAISE: Wonderful resource from Homeschool Freebie - The Path of Praise RADIO SHOW is a radio drama special beginning with William Bradford and the Pilgrims, and follows the heritage and history behind the holiday. I hope you will find the time to remember the contributions of the Pilgrims to our country's proud and most humble heritage. Many prayers for blessings and giving thanks for all of you, my friends, this Thanksgiving. Send you suggestions by commenting below!